(National Fallen Firefighters Foundation). Red housing and fob. Congress created the National Fallen Firefighters Foundation to lead a nationwide effort to honor America’s fallen firefighters. Since 1992, the non-profit Foundation has developed and expanded programs that fulfill that mandate. Their mission is to honor and remember America’s fallen fire heroes and to provide resources to assist their survivors in rebuilding their lives. Lights for a Cause – Nano Light. 1 1/2″ overall. Machined aircraft grade aluminum housing with anodized finish. White LED. 10 lumens. Rotating on/off head switch. Runtime: up to 8h. Water resistant. Uses four alkaline button cell batteries (included). Includes keyring, a non-rotating snap hook for easy one handed operation when attached to a keychain and double sided fob. Weighs: 0.36 oz. Hang packaged. 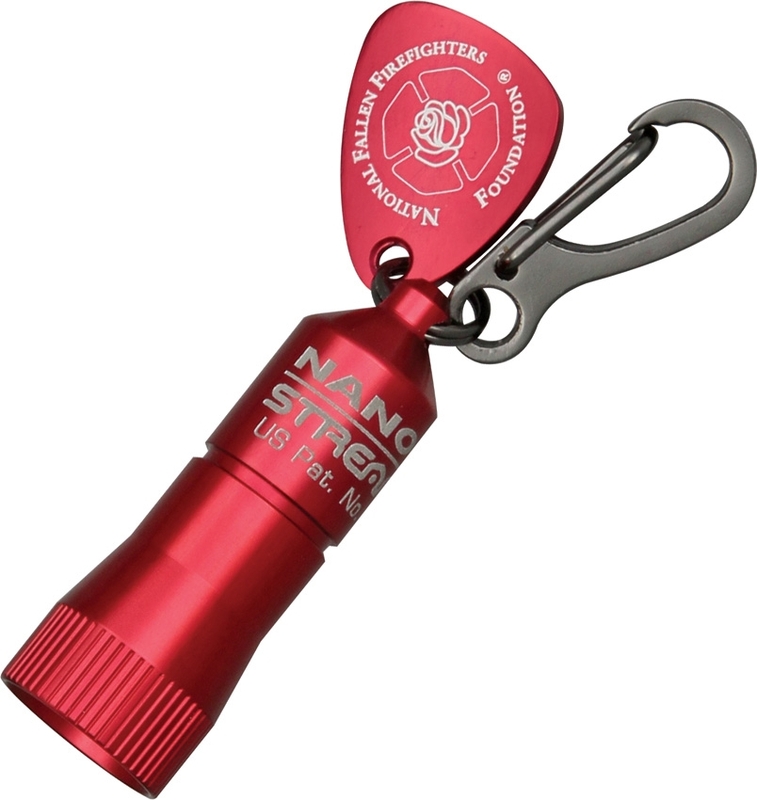 $1.00 from each of the Lights for a Cause – Nano Light will go towards the specified charity.